There are so many entrepreneurs who invest so much money into the professional design of their websites just to feel the frustration. The problem is that people never come by themselves no matter how beautiful your website is. Do you know what is the most frequent question digital marketers are asked? Entrepreneurs ask how to get traffic to their websites. There are tons of articles on the Internet on the topic so why don’t they help? This is not because of the poor quality of the content. The problem with the most articles is that the tips are too generic. I mean most of the authors don’t differentiate by the type of website you are trying to drive traffic to. This is important, that’s why we are going to focus on eCommerce websites only. I am sure that all the tactics described in the infographic you see below will work well for your online store. Please make sure to read the explanations below the infographic, and view the video right under this text, they will give more detailed info on each tip. Please note that the strategies used to drive traffic to an eCommerce website can differ based on the type of product you sell. The described tactics don’t differentiate by product type, they sooner cover major traffic acquisition approach for eCommerce products. However, they will give you the right directions for traffic acquisition. You’ll try them out and choose the ones that work best for your product type. Paid traffic for eCommerce sites is the first point of our infographic. By paid traffic for your eCommerce site, I mean Google Adwords, Google Shopping ads, banner ads, Facebook ads, etc. Paid advertising is an awesome way of driving traffic and obtaining sales, especially when you are just starting. An average online store using paid ads usually notice that nearly 40% of all their traffic comes through paid search. Paid search is excellent for products having a short buying cycle. Why are paid ads so effective? Paid search platforms like Google AdWords actually place your ad to the top of the search engine. In other words, even if you rank #1 organically for a particular product, paid search ads are placed above the organic results all the same. Ranking organically in search for product keywords is a dream of any eCommerce store. And this should be your end goal because this brings a consistent passive stream of targeted traffic to your website. As a rule, these terms are very competitive and it can take a while to rank for them… if you can rank for them at all. If you are going to rank your eCommerce site, you need to do the on-page optimization. This includes writing cool product descriptions, uploading images, videos, reviews, etc. Google, as well as other search engines, love web pages with tons of useful content and your customers will love them. When your on‐page SEO is put into order, you will need to build backlinks to your pages to rank. The problem is that websites don’t want to link back to product pages, which are the pages you want to rank. How to overcome this challenge? Create content that ranks for terms that are topically relevant to your product, but less competitive. Your blog posts will rank well and drive a fair amount of traffic to your website. In other words, creating content increases your website’s traffic potential and helps to answer top of funnel product related questions. Answering these questions moves potential customers down your funnel and prepares them for the purchase. Another good way to drive traffic to your eCommerce website is to make other websites review or talk about your product. You can offer these websites something in return. For instance, incentivize them with an affiliate program or pay them with product or money. People are rarely interested in talking about you without getting their cut. Social media is another way of traffic acquisition that can be pursued by eCommerce sites. Here you should remember that promoting to your social media following is great, but this type of traffic isn’t necessarily new traffic. So what is the point in promoting your products to loyal customers? Your goal is to make your followers share your posts or products with their followers who know nothing about your brand. However, people rarely share products unless the product is worth it. That’s why most of the eCommerce brands use the content. People share interesting content eagerly. 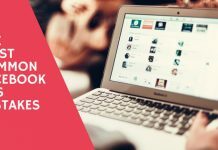 This sharing creates a ripple effect and drives new traffic to your website increasing your reach and growing your brand. Building an email list is essential for most businesses. Emails enable you to contact your customers directly, immediately, and for free. Email doesn’t necessarily bring new traffic to your website. Nevertheless, it allows you to engage your past visitors with information and offers that make them come back to your site and buy again. 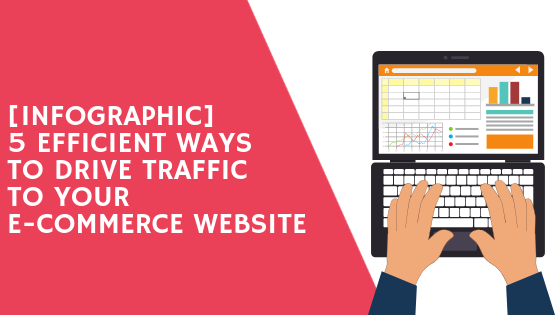 I hope now you can imagine the general concept of driving traffic to your eCommerce website. 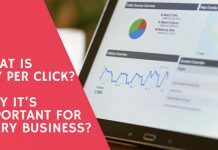 You know… When it comes to driving new visitors to your website, the right strategy is always “it depends.” In plain English, not every method of driving traffic mentioned above will work for each and every business. The goal of this infographic was to give you a framework for what strategies to pursue depending on the type of business you run. The only way to find out if a traffic acquisition strategy works for you is to try it, measure the level of success and then analyze the results. Nobody has a universal solution for traffic acquisition that works for every business. 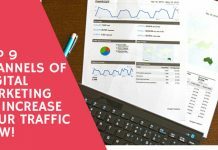 In any case, now you are introduced to the techniques of driving traffic to eCommerce websites. If you have any specific questions about driving traffic to your particular website, please feel free to drop us a line.